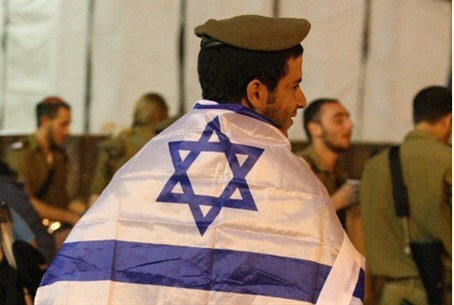 The number of Israelis who enlist in the army is declining. By 2020, less than 60% will enlist, statistics show. The IDF presented some alarming data on Thursday, according to which the number of Israelis who enlist in the army is on the decline. According to statistics presented by Major General Orna Barbivai, head of the IDF’s Manpower Directorate, by the year 2020 about 60% of the Israeli population will not be serving in the army. The data for 2011 indicate that as of today, every second citizen in Israel does not enlist in the IDF due to, among other reasons, demographic changes in Israeli society, a rise in the percentage of the hareidi population, an increase in the number of minorities in Israel and a drop in the percentages of aliyah (immigration) to Israel. The statistics show that one in four men does not enlist in the IDF today, half of them for medical reasons. Among the female candidates for military service, the military has found that 40.9% of them did not join the army in 2011 and that this rate is expected to rise by 2014. Barbivai noted that the rate of hareidi girls who receive exemption from army service is rising. On the flip side, the enlistment rate among non-hareidi girls is on the rise, thanks to the influence of actions taken by the IDF against girls who falsely declare that they are religious in order to avoid military service. The data also found that the highest recorded rate of enlistment is in the city of Modi’in-Macabim-Reut, with 92.4%, followed by Nes Ziona with 92.2%, Hod Hasharon with 91.2%, Ariel (91.1%), Kiryat Motzkin (90%), Kiryat Shmona (88.4%), Yehud (88%), Yokneam (88%), Rosh Ha’ayin (87.4%) and Kiryat Bialik (87%). It has also been found that Modi’in-Macabim-Reut ranks first in terms of people who join combat units (59.1%) followed by Raanana (56%), Yavneh (54.3%), Maale Adumim (54.3%) and Kfar Saba (52.6%).